Confession time…..I just saw The Hunger Games a few weeks ago and :::GASP::: I’ve never read the books. I know I know, who hasn’t read the books yet anymore. It seems as though everyone out there who knows how to read has read them. And if they haven’t then they have plans to. Another confession, I had no interest in reading the books until after I watched the movie. In fact I was being completely silly and boycotting it because, well I don’t know why. It was ridiculous of me and I totally feel silly about it, but I have to read them now. I mean, hello??? I have to catch up before the second movie comes out right? So without further a due, and embarrassment on my part, I give you the official poster for The Hunger Games: Catching Fire. And in case you haven’t had a chance to take a peak at the trailer I’ll be super nice and include a peak for you. Looks awesome right? Good thing I have until November to catch up on all the books so I am not lost like I was while watching the first one. 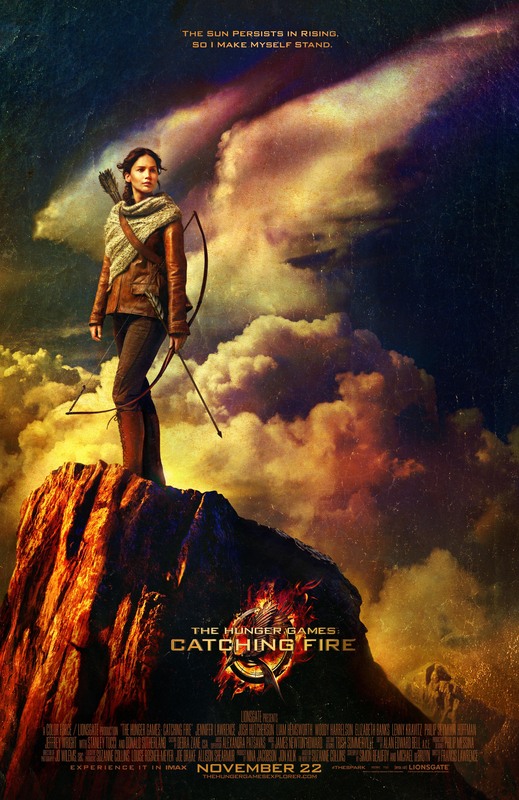 Be sure to follow Catching Fire on Facebook and Twitter to keep up on the latest happenings!